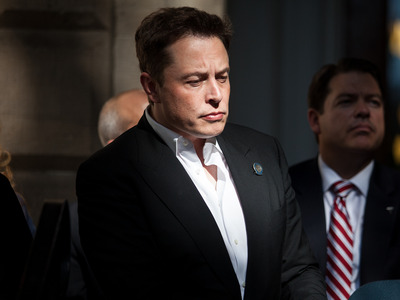 Max Whittaker / Getty ImagesTesla CEO Elon Musk has said he wants to take Tesla private. The Securities and Exchange Commission is “intensifying” its inquiry into Tesla,Bloomberg reported. According to the publication, the agency had already been gathering information about statements Tesla has made regarding sales and manufacturing targets. The SEC and Tesla declined Business Insider’s requests for comment. The SEC on Wednesday asked Tesla whether one of CEOElon Musk’s tweets about the possibility of taking the company private was truthful, The Wall Street Journal reported. The Securities and Exchange Commission is “intensifying” its inquiry into Tesla, Bloomberg reported Thursday, citing two people familiar with the matter. The agency on Wednesday asked Tesla whether one of CEO Elon Musk’s tweets about the possibility of taking the company private was truthful, The Wall Street Journal reported. According to The Journal, the SEC is also looking into why Musk’s first statement about the potential of taking Tesla private was made on Twitter instead of in a regulatory filing. The agency also asked the company whether it believes Musk’s tweet follows SEC rules about protecting investors, the report said. Bloomberg reported that the agency had already been gathering information about statements Tesla has made regarding sales and manufacturing targets. “Am considering taking Tesla private at $US420. Funding secured,” Musk said on Tuesday via Twitter before issuing a formal statement on Tesla’s website. Tesla’s share price surged after the tweet, rising by as much as 12%, to over $US381, before trading closed. No details about funding have been disclosed though. And according to Musk’s statement, no final decision has been made. That has some experts raising an eyebrow. James Rosener, a partner at the law firm Pepper Hamilton, told Business Insider that Twitter was not the right medium for a securities disclosure since the platform’s 280-character limit prevented Musk from disclosing enough information relevant to investors – including the structure of the deal, its tax impact, and the amount of debt it would require – to ensure he’s not misleading them. According to Rosener, Musk’s tweet likely ran afoul of the SEC’s anti-fraud rules. David Whiston, an equity strategist at Morningstar who covers the US auto industry, said he was confused by Musk’s tweets, which he said indicated Musk had both the funding and the shareholder votes necessary to take the company private. According to Probes Reporter, a research firm focusing on undisclosed SEC investigations, the SEC investigated Tesla from June 2016 to May 2017 regarding the Model 3 sedan. Tesla did not disclose the investigation, which did not result in an enforcement action, the firm said. Tesla has been public since 2010, but Musk has said in the past that he would like to take Tesla private. Musk has also said on multiple occasions that Tesla will become profitable by the end of this year and won’t need to raise additional funds, despite its increased cash-burn rate in recent quarters. At the end of June, Tesla said it achieved its goal of making 5,000 Model 3s in one week. Musk previously said that the company would hit that number by the end of 2017 and that sustaining such a production rate is critical for Tesla to become profitable. The Financial Times reported on Tuesday that Saudi Arabia’s sovereign wealth fund had acquired a $US2 billion stake in the company. The fund owns between 3% and 5% of Tesla’s total stock, meaning the stake is likely worth $US1.7 billion to $US2.9 billion. Read Bloomberg’s full story here.